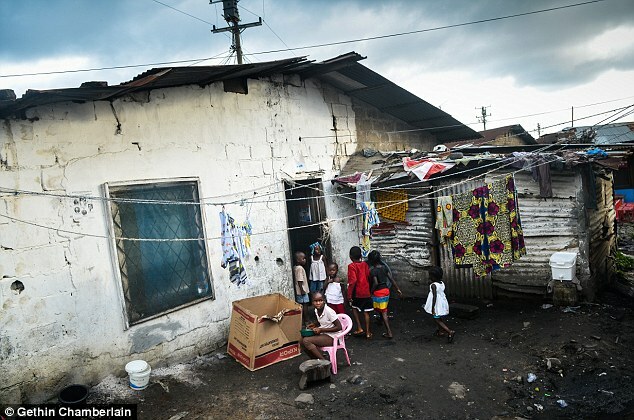 Three-year-old Emmanuel Thompson appears first, peering through the doorway of the house in the Clara Town slum. Then tiny Mercy McGill trots out and soon there are 10 children running around, shrieking and laughing. 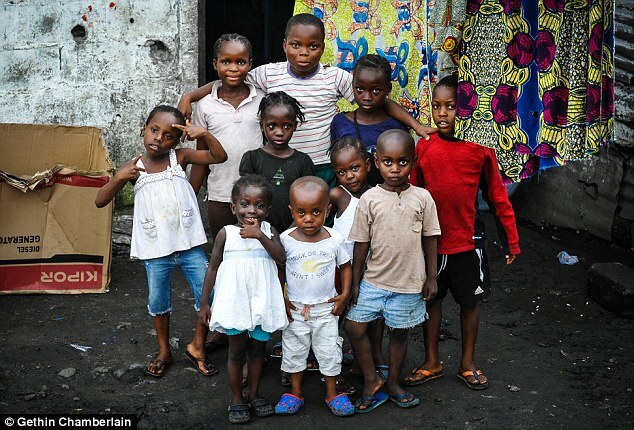 unaware they are now potentially infected with the deadly Ebola virus. For every one of these children has emerged from the house of a man who bled to death just two days ago from the terrifying virus. 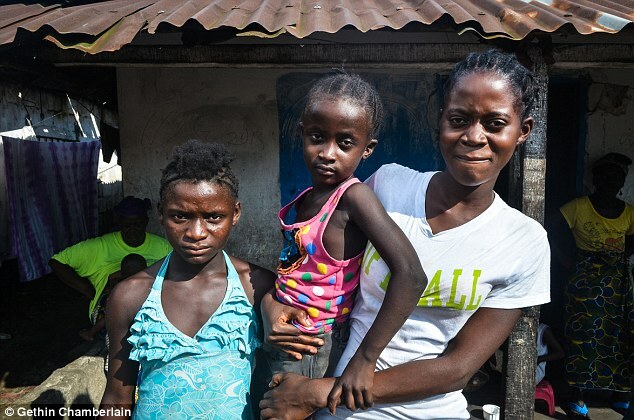 Each one of their smiling, innocent faces is a ticking Ebola timebomb – but for all the claims that the disease is under control in Liberia, no one in authority has done anything to monitor or check them. This is the brutal truth about the outbreak that has ravaged West Africa and reached the U.S., Spain, Germany, and the U.K: not only are huge numbers of carriers simply ‘disappearing’ from official figures, but the number of children left orphaned is at least three times the size of existing estimates. 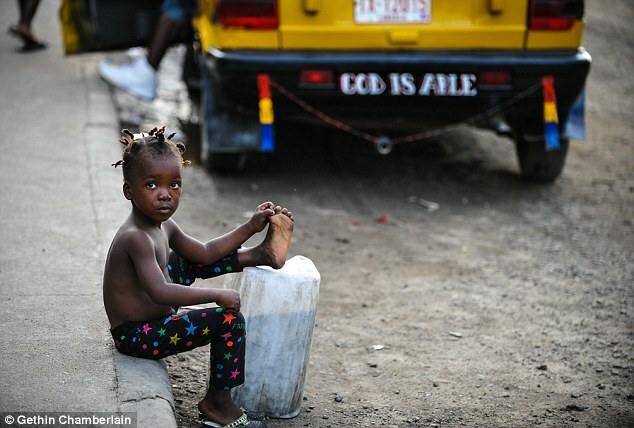 James Dorbor Jallah, one of the most senior figures in charge of Liberia’s fight against Ebola, told MailOnline that his country alone has probably 12,000 children who have lost their parents to the virus, not the 3,600 currently feared. 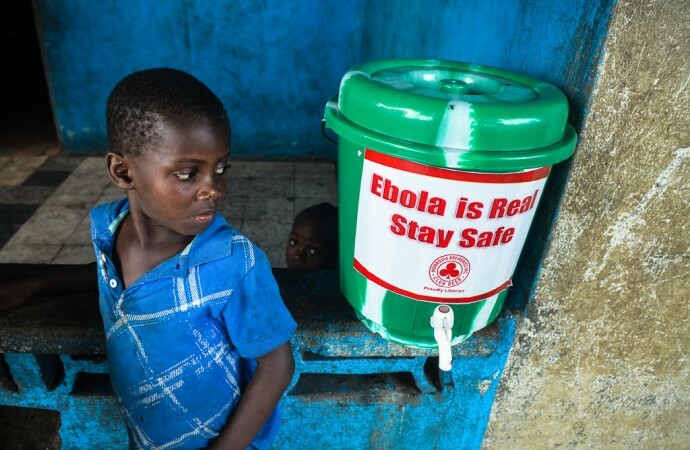 His department is recording 100 new Ebola cases every day. 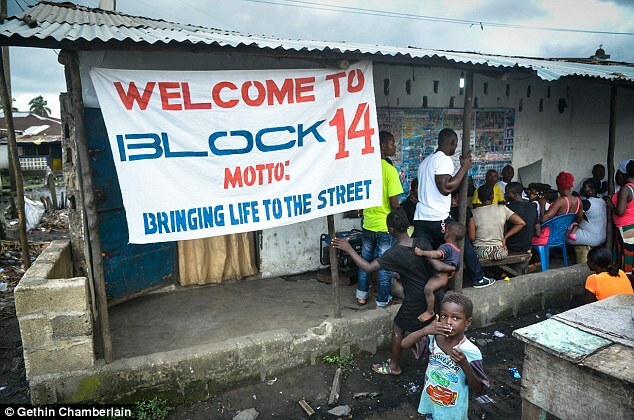 Even in the Clara Town slum, in the heart of the capital, lapses are obvious. 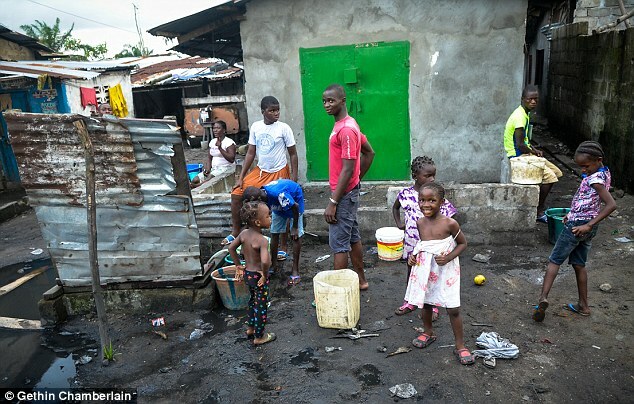 I watch as the ten children run from the ‘Ebola house’ and mingle freely with the dozens outside – ignoring the chlorine-washing prescribed. Yards down the street, at a water pump, residents take it in turns to push down on the handle, no-one bothering to disinfect it or themselves, happily sharing jokes, no-one worrying about bodily contact. It doesn’t look like an area in lockdown. Liberia is the country hardest hit by Ebola, which has already killed more than 5,000 people in the latest outbreak. When the World Health Organisation announced last week that there had been a drop in new infections, few regarded it as anything other than a temporary respite. Katumu Thompson, 31, sits with her son Emmanuel on her knee in front of the house by the roadside in Clara Town, selling bottles of water to passers by. 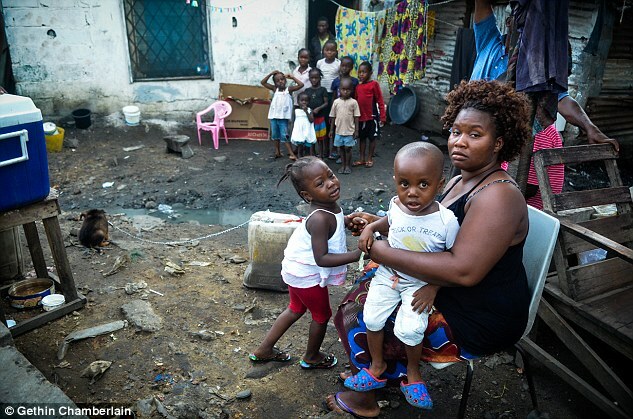 There are ten rooms in the house, she says, and in them live 10 families – including her own – with between them at least 10 children. 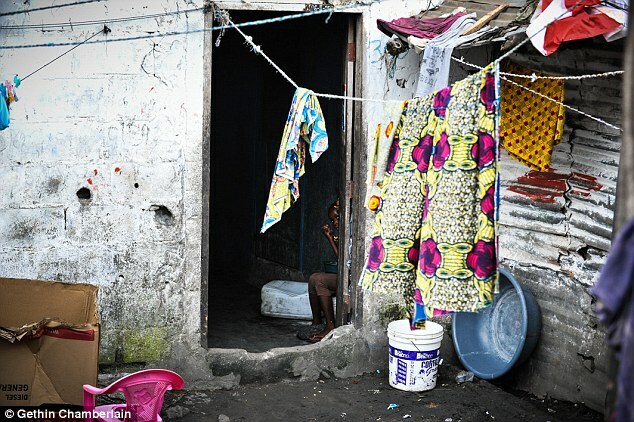 Living in one of the rooms was Selekee Konneh, 33, who had recently arrived from Guinea, another Ebola hotspot. At first he was fine, then he fell sick. Two days ago, she says, an ambulance arrived to take him away. People in protective clothing hosed down the room and closed the door, and then they left. Later, they learned that he had tested positive for Ebola. The treatment centre that admitted him will have filed a report to the ministry of health about where he lived and what should then have happened was that everyone was placed in quarantine for 21 days to prevent the spread of the disease. But there are not enough people to follow up such reports, so everyone simply carried on as if nothing had happened. Katumu could already be incubating Ebola – but no one is keeping track. 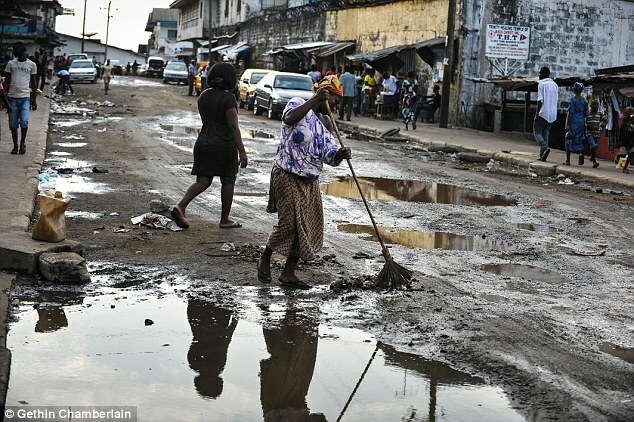 Another local resident, student Charlotte Msaye, 29, says that after an initial panic when the outbreak first swept through Monrovia, people have become complacent and will not to listen to the safety advice. ‘I am afraid. I know that coming across any group of people I may contract the virus,’ she says. 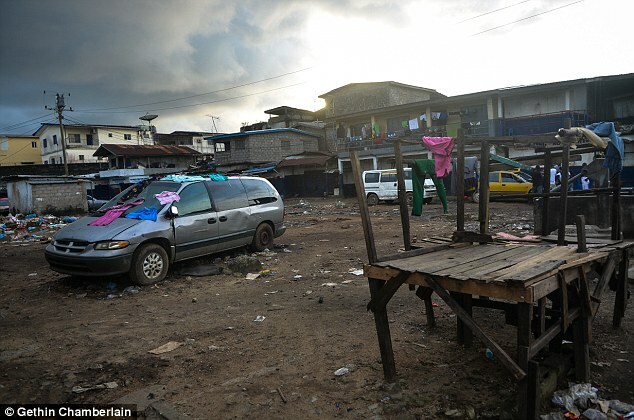 Clara Town, birthplace of Liberian football star turned politician George Weah, is one of the slums where thousands of orphans have been left behind when the virus took the lives of their parents. 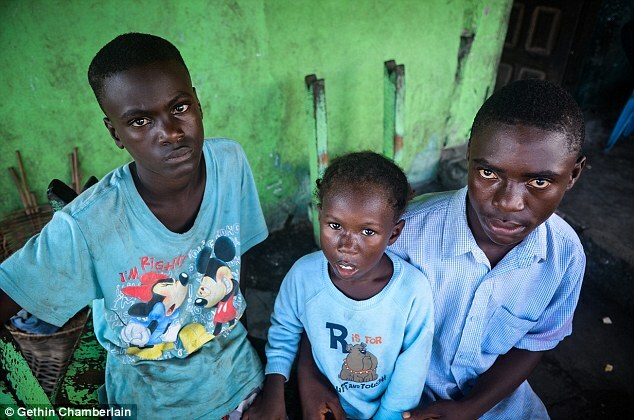 A hundred yards further down the road from Datum’s house, Abdullah Moore sits with his six year old sister Christiana and brother Abraham, 12, in the shelter of the tin roof of the shanty that is now their home. 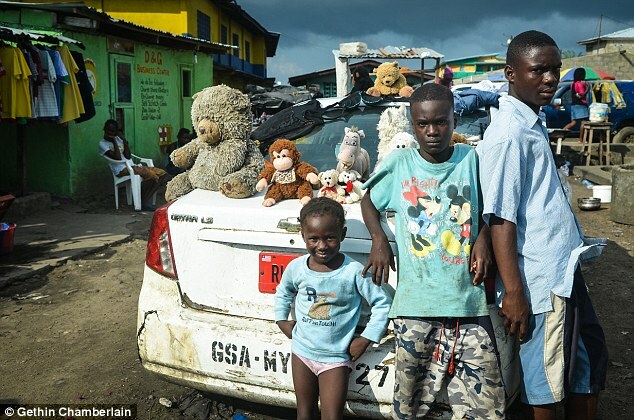 Ebola killed their mother, 36-year-old Bendu Moore, and father Fred, a taxi driver, in the space of a couple of weeks. ‘She made us happy and she gave us gifts and we loved her,’ says Christiana, looking at a picture of her mother. Their father fell ill first. But instead of visiting a treatment centre he insisted on putting his faith in a traditional healer who prescribed herbs and leaves. He died shortly afterwards. A couple of weeks later, their mother also began to show symptoms of the disease. ‘When she fell ill we thought we would not see her again,’ he said. The children are staying with an aunt. 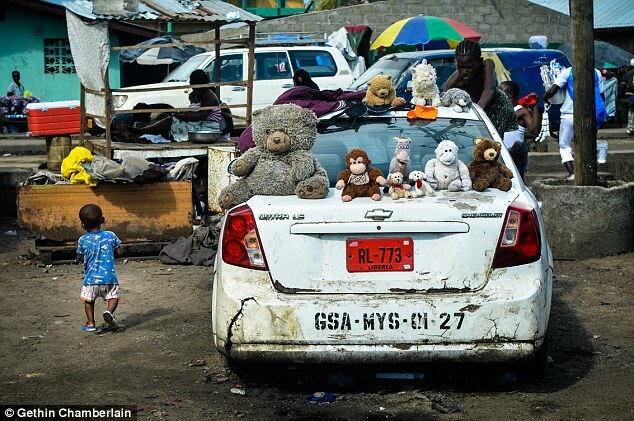 They say they have received no assistance from the authorities. 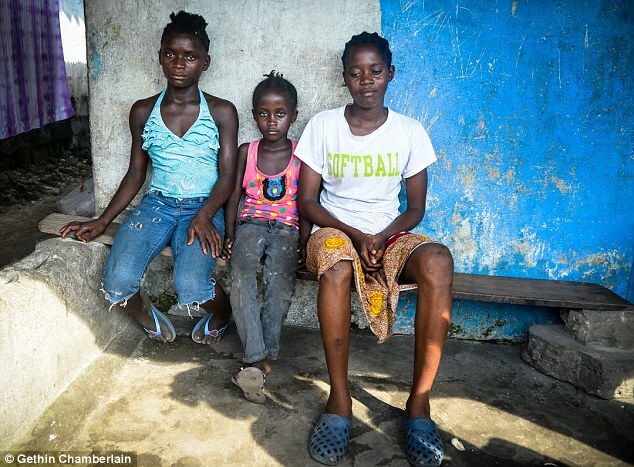 On the other side of the mud street, sisters Jebeh Maccy, 17, Angel, 7 and Miatta, 9, also find themselves relying on the kindness of relatives after their mother, 59-year-old Wokie Kabba, died from Ebola. 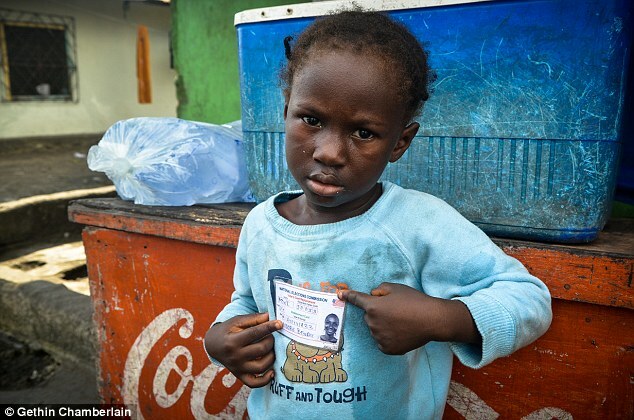 Their father has been missing since the outbreak of the country’s civil war. When she fell ill, she was taken to a hospital. There was no funeral. Bodies are simply taken away and burned immediately because they are most contagious at the time of death. Without Wokie, the girls’ live have fallen apart. ‘I used to go to school but we won’t be able to afford to now,’ says Jebeh. 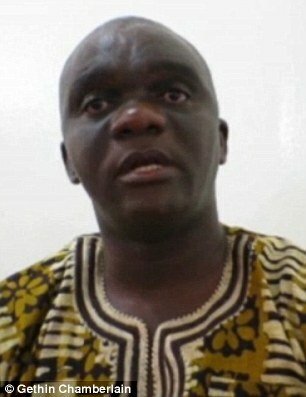 Jallah, deputy head of the country’s incident management team, which is leading the fight against Ebola, sits in the National Ebola Command Centre in Monrovia, surrounded by international aid workers and Liberian staff holding meetings and typing away at computers. He gets angry when asked to explain why no-one is going to places like Clara Town to follow up reported outbreaks or caring for the orphans. He criticises the international community for only taking Ebola seriously when they were affected. 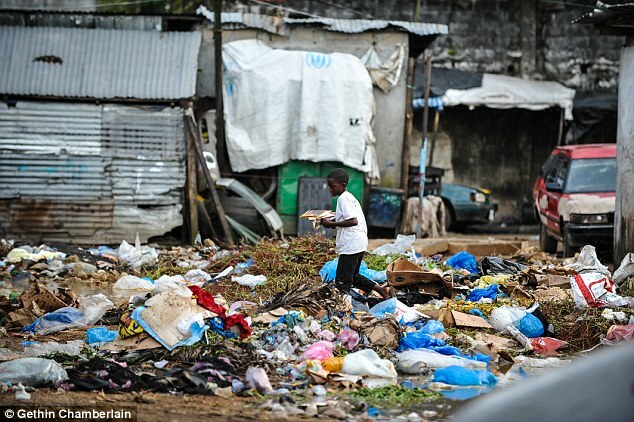 It is up to the international aid organisations to step up and help, he says. Jallah says it is unfortunate that much of the current international aid spending is now focussed on building treatment units when money is needed for more urgent work. What is needed, he says, is funding for teams of people – known as contact tracers – to follow up on reported cases such as the one in Clara Town. Inside the MSF treatment centre in Monrovia, where staff in protective suits tend to the sick and dying, spokesman Fernando Calero picks up a form which staff fill in when a new patient arrives, listing who they contact. The forms are sent to the health ministry, but that’s where MSF’s involvement ends. Calero is frustrated. The money is going to the wrong places, he says. No-one wants to step forward to take charge of something as basic as tracing those who have come into contact with people who have tested positive for the disease.